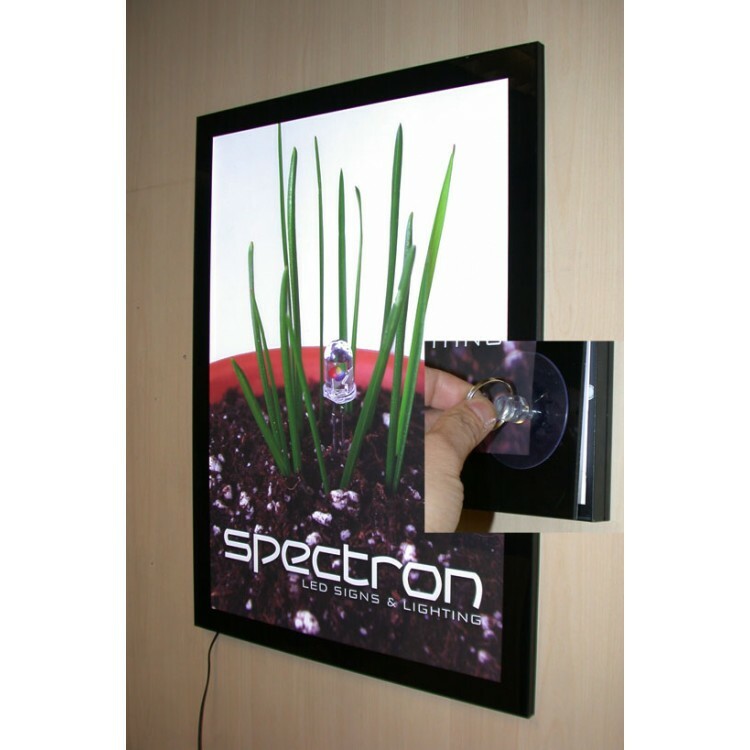 A1 LED Light Panel has a magnetic, clear front with a screen printed border which is removable using a suction pad. Applications include: hotel decorative light box, bar lighting signboard, fast-food restaurant menu, chain-store interior decoration, marriage picture frame, individual photograph frame, home decoration, brand name signboard display, gift show, showcase, product exhibition, indoor advertising poster frames, movie poster display, etc. This frame has been designed to accept a back-lit material of between 130-220 micron thinkness.